Saffron, the flower with a heart of gold. Tasting Visits : Samuel, an organic saffron producer, will reveal the sercets of this spice with its enchanting aroma... A fascinating visit, during which you'll find out when and how saffron reached this area, and what its many properties are. 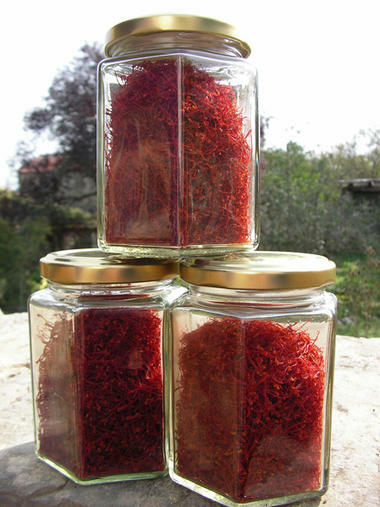 Then you'll know why saffron has always been the world's most expensive spice ! 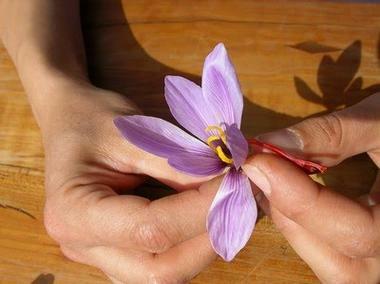 You'll learn how to tell imitation saffron from the real thing, and good from bad, and its culinary uses will no longer hold any secrets from you. 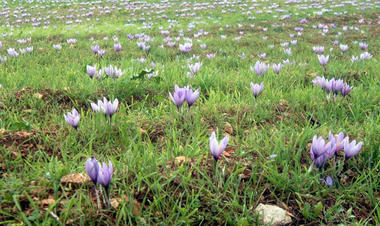 Your ears, nose and even your taste buds will be called upon during a tasting of saffron-flavoured specialities. And all this served up with a touch of humour. * Visites guidées sur rendez-vous.